The Polk County Sheriff's Office says one of their deputies was forced to shoot and kill another deputy's K9 on Monday. 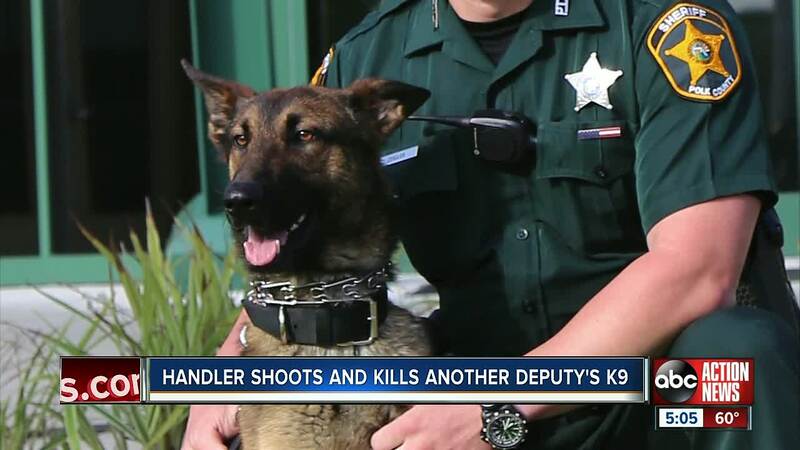 POLK COUNTY, Fla. — The Polk County Sheriff's Office says one of their deputies was forced to shoot and kill another deputy's K9 on Monday. According to a spokeswoman, Deputy Scott Cronin, a K9 handler, was caring for K9 "Recon" while the dog's handler was out of town for the past week. When Deputy Cronin went to check on Recon, the dog attacked him and bit his hand. Recon would not release Deputy Cronin's hand and the deputy was forced to shoot and kill the K9. Deputy Cronin suffered minor injuries, according to the Polk County Sheriff's Office.